Wednesday was a fantastic day diving with Rainbow Reef on Molasses Reef. We were lucky enough to have master dive guide Jesus (AKA the fish whisperer) with us for the day. We had so many sighting I barely know where to begin. Jesus found an small overhang with a Lionfish, Nurse Shark and Stingray underneath. 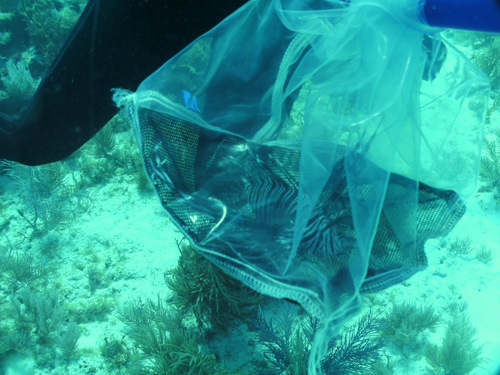 When he captured the Lionfish the Shark took off in one direction and stingray in the other. 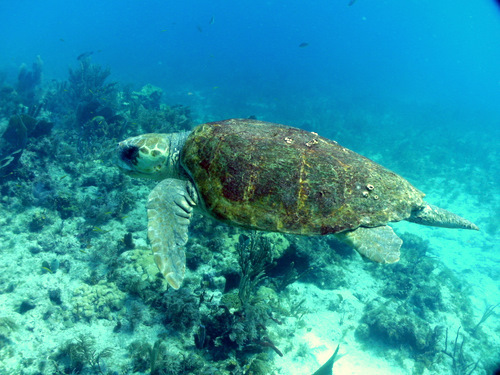 Later on during the dive we had a visit from a friendly old turtle. It was not afraid of us at all and swam with us for a while. During the afternoon dive we visited the Wellwood Coral Restoration site on Molasses Reef. 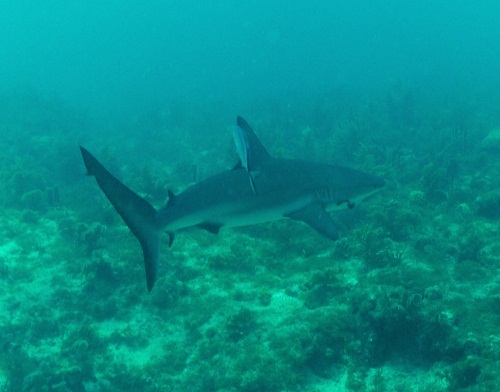 During the dive we saw a few Spotted Eagle Rays and a Black Tip Reef Shark. In addition to the photo I was able to get a few seconds of video. Tuesday morning we started the day on French Reef. 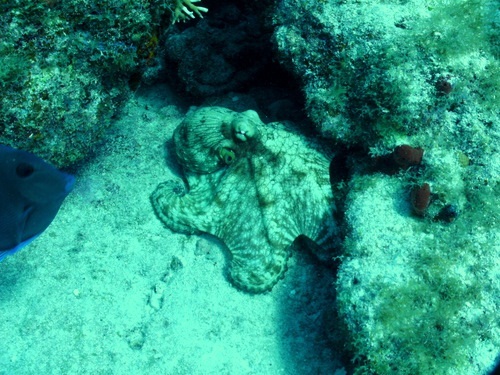 I was lucky enough to see and photograph an Octopus. This is the first one I have seen in the Florida Keys. I’m back in Key Largo for the week to participate in a Coral Restoration dive on Earth Day (Friday). Monday was my first day back in the water since last June. I was a great day of diving with several good sightings. 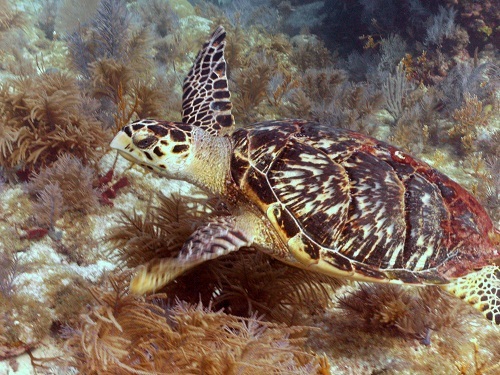 I spotted this turtle on Molasses Reef. 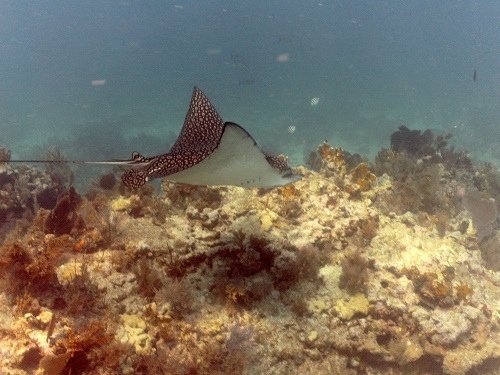 The Eagle Rays are back! The dive guides have been telling me the sightings have increased just during the past week or so. It should only get better as we get closer to summer. We finished the day with a dive at Ball number 16 on Molasses Reef. 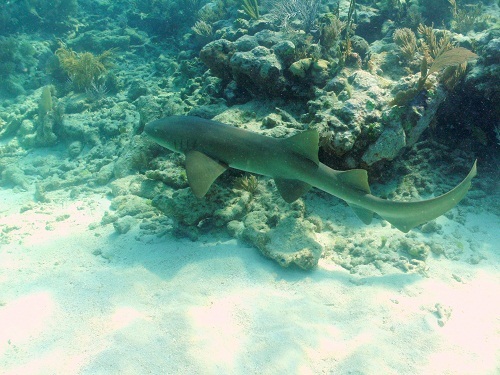 We were lucky enough to see a good sized nurse shark in addition to an Eagle Ray and a Green Moray Eel swimming in the open.